Mui Kee Congee originated from Hong Kong has reached the shore of Singapore. It was brought over by Les Amis Group, owner of multi concepts dining establishment known for its quality. 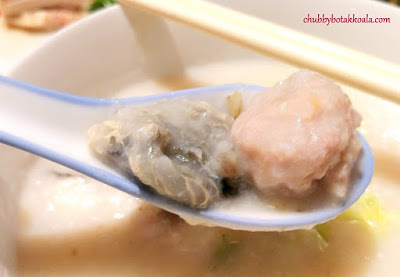 Mui Kee Congee is renowned for their silky-smooth congee filled with old school ingenuity. In Singapore, they signature congees are Parrot Fish Belly and Homemade Pork Meatballs. Worried that the fish belly is too fatty, I decided to order Sliced Parrot Fish Congee ($9.80) plus an add-on of Meatballs ($4). 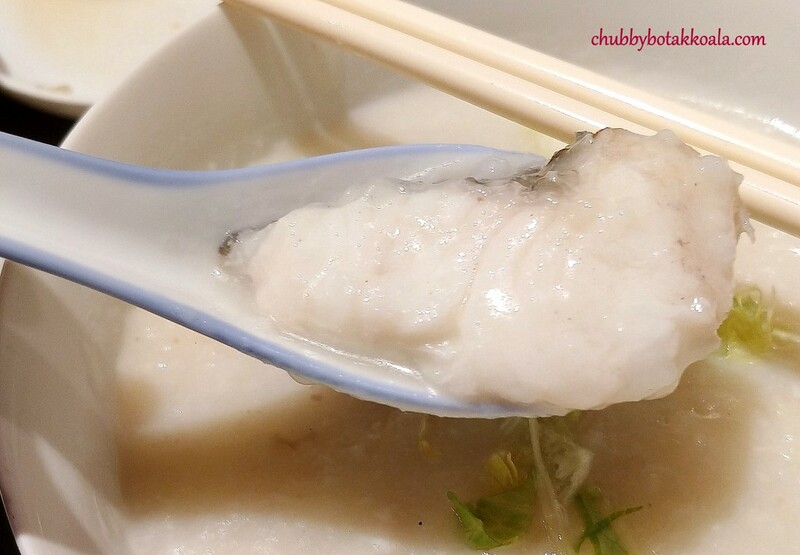 The congee is silky and smooth, with a lingering charred flavour in the fish. At first, I thought it was burnt, however, I later found out that it was due to the high fired used at the beginning to fire up the fish slices. The congee is added afterwards. Each slice of the fish is thick, firm and have a good bite to it. While the homemade pork balls are juicy and succulent. Let’s just say that I have two signatures congee in one bowl. 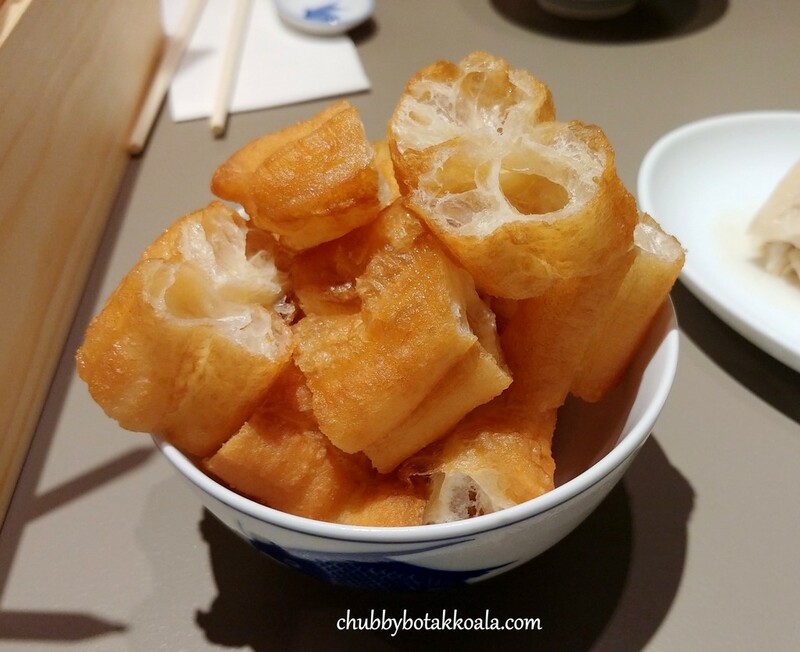 The congee does not come with you tiao, so you have to order it separately. Crispy Dough Fritters ($2). Definitely, a perfect pairing to give the congee a contrasting crispy texture and also helps soaks up the flavour in the congee. 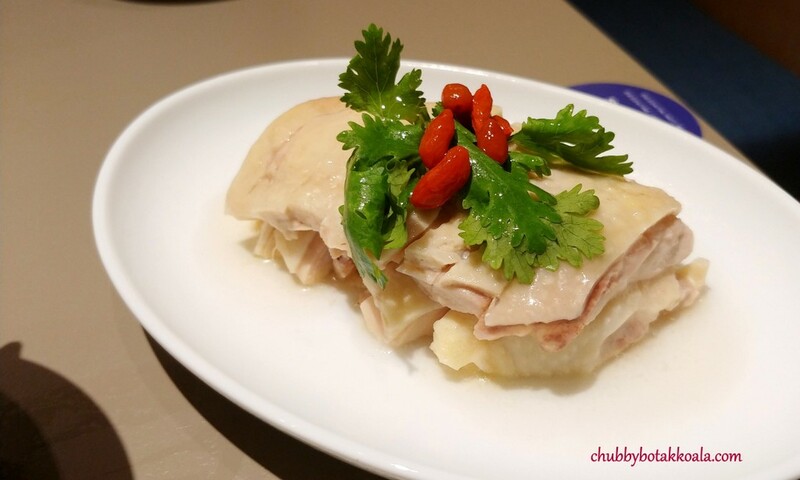 One of the side dishes that I ordered is Drunken Chicken in Shaoxing Wine ($10). The flesh of the chicken is on the firm side and you can taste the Shaoxing wine absorbs into the inner part of the meat. Very good and appetizing indeed. 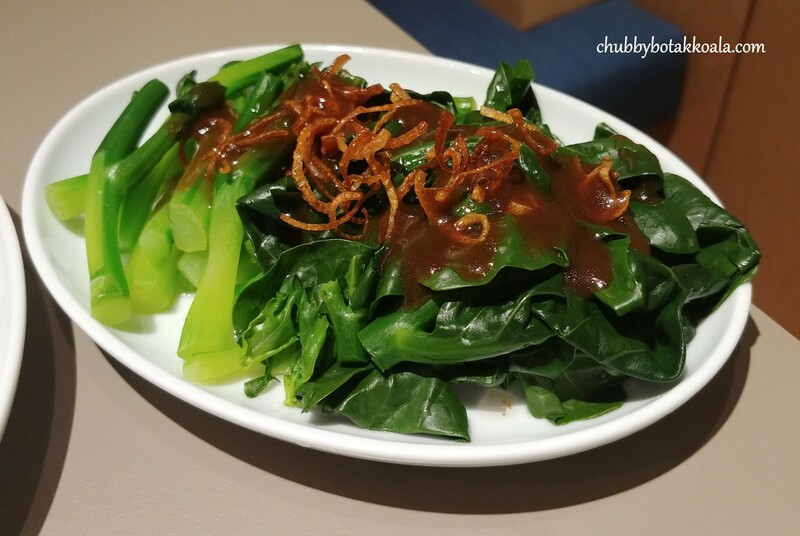 For vegetable, we ordered Poached Kai Lan ($8). Though the oyster sauce is solid, the kai lan was overcooked. It was missing the crunchy bite to it. 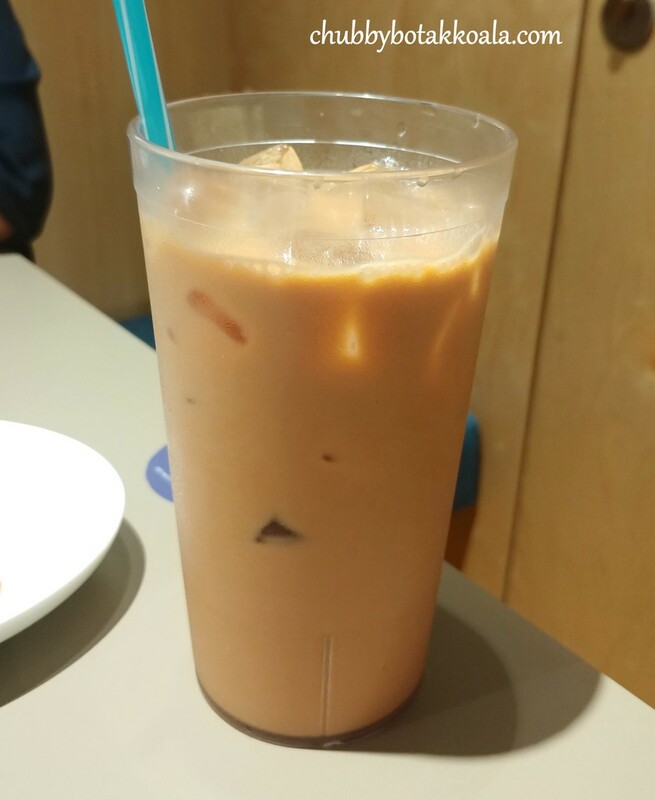 Drinks, Iced Hong Kong Milk Tea ($3.50). The tea has a nice smooth milky texture; however, it can be better if the tea is darker. The décor of the restaurant has a modern Cha Chaan Teng feel to it. Seating is limited, so sharing table just like in Hong Kong is kind of a norm here. Service is efficient and the service staff tried to use Cantonese in taking your order. However, feel free to switch to English or Chinese to your convenient. Expect long queue during lunch and dinner time, the rest of the time should be very normal. 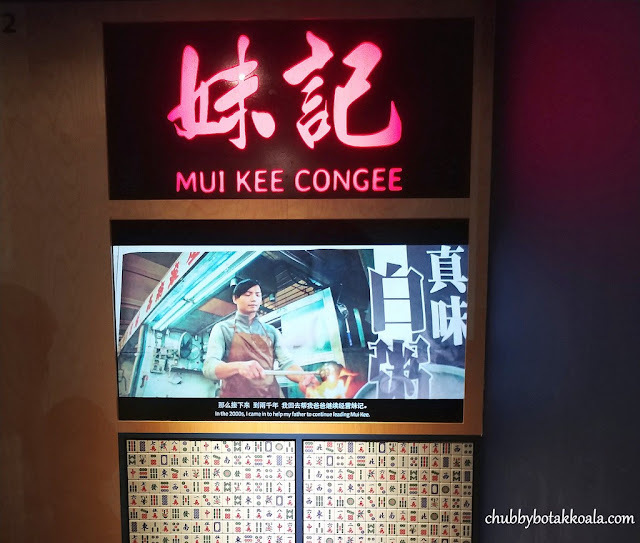 Overall, Mui Kee Congee expansion to Singapore brought with them the culture and taste of Hong Kong dining. 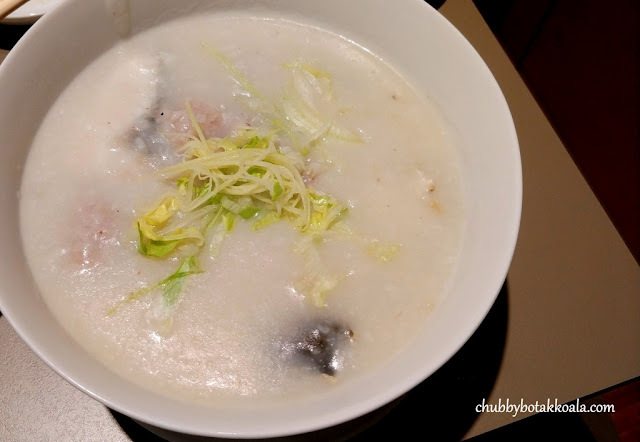 Definitely worth a visit if you are craving for Hong Kong Style of Congee. OH: 11.30 – 15.00, 18.00 – 22.00 Daily. Their treadfin belly congee taste great with a burn taste which we call wok hei. Although this $18++ which might be on a high side of price but it’s def worth the money than spending $11.80++ for the parrot fish which the meat is tough and tasteless. Have try the set menu as well which is $10.80 but taste so normal just cheap and it’s not worth also. if you going to so called restaurant to eat dun look at price and order as you will never get to eat what is really called nice and good food you can only get to taste what we call a bit better than normal. When go restaurant enjoy yet looking for cheap item and order might as well just go coffee shop which you can get what you all said cheap and nice. If you really know how to enjoy and taste what is call nice food never tell people that parrot fish is nicer than threadfin as it will never be you can only tell people parrot fish is CHEAPER than treadfin. If you do said parrot fish is nicer than treadfin, People who really loves to eat and enjoy food will start to laugh at you. Thank you very much for reading Chubbybotakkoala.com and for your suggestion, I will try the threadfin belly next time.